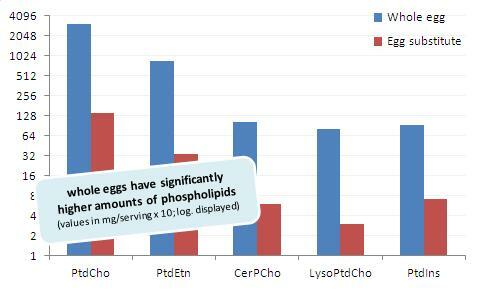 In addition to the previously reported improvements in cholesterol particle profile, the regular consumption of whole eggs increases HDL's ability to carry lipids out of the macrophages. If these accumulate, they will turn the macrophage into pro-atherogenic foam cells (cf. Eckardstein. 2001). (*) I obviously have no evidence that the publication of the Blesso study was mischievously delayed, but it is unquestionably conspicuous that a paper with 100% convincing data that the witch hunt on eggs of the medical establishment is totally unwarranted was postponed from September 2012 (date of the online publication) to March 2013, isn't it? As you gather from the above citation the dataset, or I should say the blood samples the scientists from the University of Connecticut analyzed to gather their data, were the same as in the previous study accordingly, there is little I could tell you about the 37 subjects (25 women; 12 men) classified with MetS who were recruited to participate in the previously described 12-week parallel, randomized, single-blind diet intervention. of HDL and/or human serum (Fournier. 1996 & 1997), the macrophage cholesterol efflux of the subject in the EGG group increased from baseline to week 12 (+2.4% from baseline). This physiologically highly relevant effect which correspond to the previously reported improvements in HDL particle profiles (see post from October, 2012) is the actual news this re-analysis of the blood samples has to offer, as it goes to show us that the beneficial effects of daily consumption of the "4-letter" food "eggs" does not only promotes favorable shifts in the particle size distribution of the lipoproteins in a patient group with a high baseline risk for cardiovascular diseases. No, the "bad" eggs also improve the HDL lipid composition (lowering the triglyceride content) and the function of the HDL molecules. Bottom line: If you have been following the SuppVersity Facebook News over the past couple of weeks, you will now probably be thinking: "Wait a minute.. wasn't there..."? And yes, there was. Scientists from the IMIM-Research Institut Hospital del Mar in Barcelona, Spain (Farràs. 2013), have observed very similar effect in a rodent study in response to the consumption of the phenols from a highly praised "8-letter food": Olive Oil! whether this message will ever make it into the headlines of the "science" colums of mainstream media is unfortunately highly questionable. Andersen CJ, Blesso CN, Lee J, Barona J, Shah D, Thomas MJ, Fernandez ML. 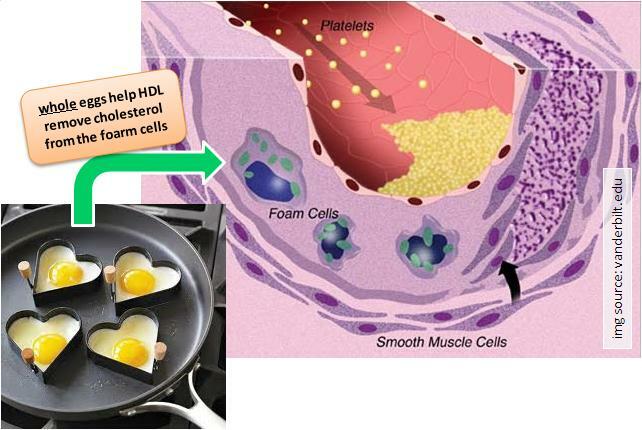 Egg Consumption Modulates HDL Lipid Composition and Increases the Cholesterol-Accepting Capacity of Serum in Metabolic Syndrome. Lipids. 2013 Jun;48(6):557-67. Blesso CN, Andersen CJ, Barona J, Volek JS, Fernandez ML. Whole egg consumption improves lipoprotein profiles and insulin sensitivity to a greater extent than yolk-free egg substitute in individuals with metabolic syndrome. Metabolism. 2012 Sep 26.
von Eckardstein A, Nofer JR, Assmann G. High density lipoproteins and arteriosclerosis. Role of cholesterol efflux and reverse cholesterol transport. Arterioscler Thromb Vasc Biol. 2001 Jan;21(1):13-27. Farràs M, Valls RM, Fernández-Castillejo S, Giralt M, Solà R, Subirana I, Motilva MJ, Konstantinidou V, Covas MI, Fitó M. Olive oil polyphenols enhance the expression of cholesterol efflux related genes in vivo in humans. A randomized controlled trial. J Nutr Biochem. 2013 Jan 17. Fournier N, de la Llera Moya M, Burkey BF, Swaney JB, Paterniti J Jr, Moatti N, Atger V, Rothblat GH. Role of HDL phospholipid in efflux of cell cholesterol to whole serum: studies with human apoA-I transgenic rats. J Lipid Res. 1996 Aug;37(8):1704-11. Fournier N, Paul JL, Atger V, Cogny A, Soni T, de la Llera-Moya M, Rothblat G, Moatti N. HDL phospholipid content and composition as a major factor determining cholesterol efflux capacity from Fu5AH cells to human serum. Arterioscler Thromb Vasc Biol. 1997 Nov;17(11):2685-91.